The role of progesterone, identified as a potential therapy for MND, is being investigated for FTD. Motor Neurone Disease (MND), also referred to as Amyotrophic Lateral Sclerosis (ALS) in some countries, is just one of the clinical syndromes associated with frontotemporal dementia or FTD. Others include corticobasal syndrome and progressive supranuclear palsy syndrome with a clinical variant of FTD being progressive non-fluent aphasia. FTD is difficult to diagnose because of the heterogeneity of symptoms, which can include cognitive, movement and language difficulties. Currently there are no approved medications indicated for treatment. The steroid hormone progesterone, which is thought to have neuroprotective functions in addition to its role in the female reproductive system, has been identified as a potential therapy for MND. In line with this, high levels of endogenous progesterone have been shown to be associated with positive patient outcomes, and the hormone has also been used successfully to improve impaired motor phenotypes in a genetic mouse model of MND. The role of progesterone in FTD therapy has not been previously investigated. 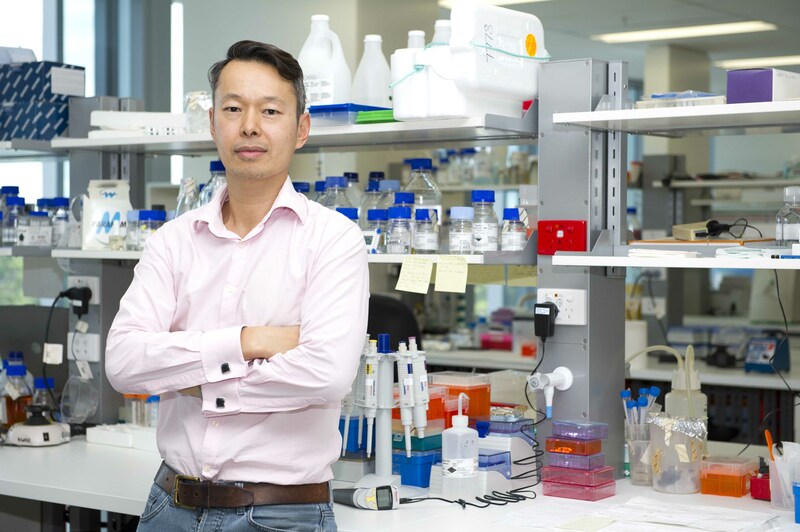 Assoc Prof John Kwok and team examined whether low levels of endogenous progesterone are associated with FTD, and whether exogenous progesterone can modulate the levels of the two major proteins associated with FTD pathology, namely Tau and TDP-43, in a cellular model. Finally, they examined the therapeutic efficacy of exogenous progesterone in a genetic mouse model of FTD. Their results suggest that, as reported for MND, progesterone has an effect on disease parameters in FTD, suggesting that the effects of progesterone are mediated through changes in cellular Tau and TDP-43 protein levels. Progesterone also reduced disease severity in the genetic mouse model. Collectively, the clinical, cellular and animal data presented in their study suggest that progesterone might have therapeutic possibilities for certain clinical subgroups of FTD.